Partnering with Kember Loudon Williams DMP have prepared planning drawings and achieved granted planning in London Borough of Wandsworth. 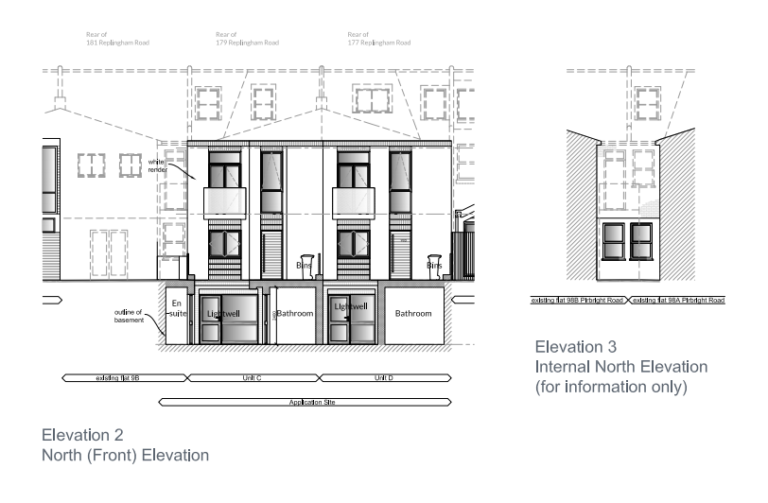 The design is to secure consent for the construction of two new mews houses and the conversion of an existing three bedroom flat. Our Client approached DMP and KLW following receipt of a rejected scheme in late 2017. DMP and KLW set out immediately with ascertaining the reason for the previous planning outcome and set out new clear brief with the Client in order to work towards a positive outcome. 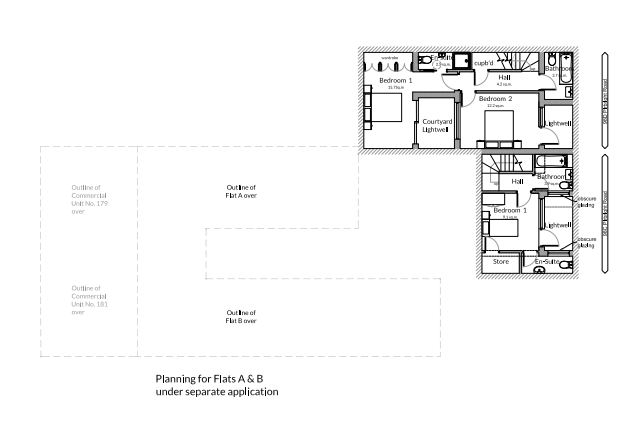 Specifically it was agreed that two planning applications with supporting information and drawings to be prepared and submitted to Wandsworth Borough Council. 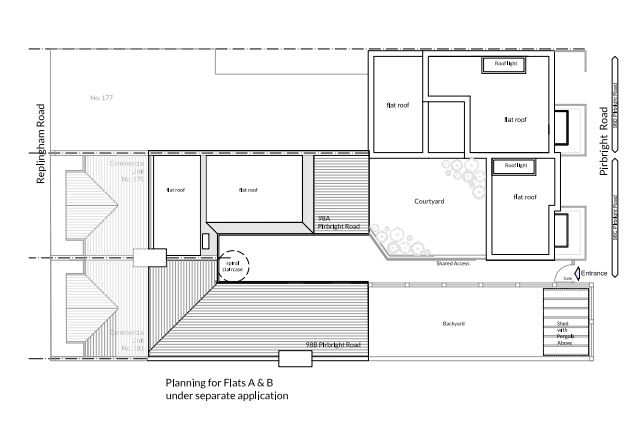 The first application comprised of demolition of existing single storey dwelling and the erection of 1 x 1 bedrooms and 1 x 3 bedroom two-storey houses. Some additional features included were a basement, bin storage, new bi-folding doors and new entrances. Furthermore the proposed developments as a whole is designful and acceptable in terms of concept, arrangement, scale and mass. It would not be a detriment to the character and appearance of adjoining properties or wiser area. DMP look forward to developing the proposals. We will keep you updated with our progress. 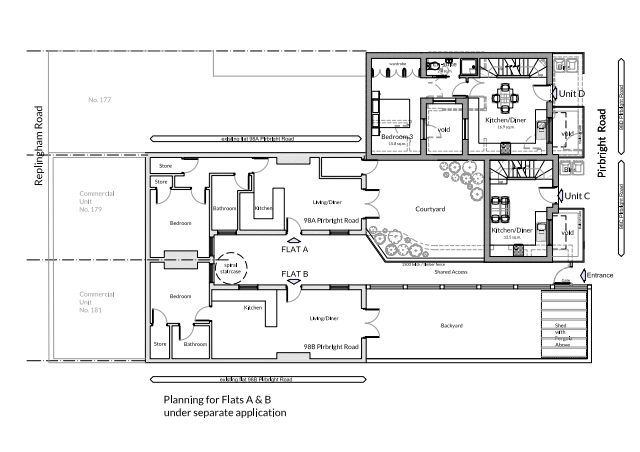 Contact Us for advice or to discuss your residential or commercial planning needs.